Myth: Croatia is an Eastern European war zone. Reality: It’s the Mediterranean’s newest hot spot! It used to be known as just another war zone. A “maybe someday” item way down the bucket list. But now Croatia is on everyone’s radar. 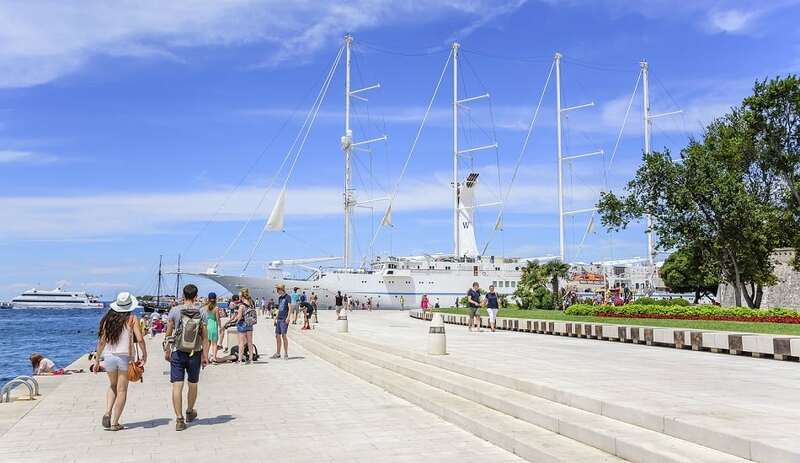 Sure, it may not yet be perceived as glamorous as Spain or Italy, but travelers to Croatia – now a major vacation destination – agree that the country has seen one of the biggest tourism turnarounds in recent years. Surprised? With a wealth of must-sees both on and off the beaten path, superb cuisine, excellent transportation, friendly (and English-speaking) people – plus lots of vacation rentals – you shouldn’t be. 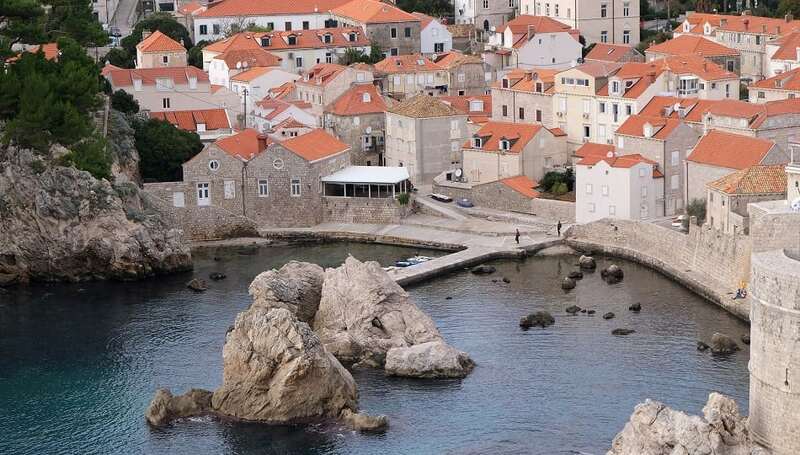 Fun Fact: Croatia was the setting for hit HBO series Game of Thrones. Fall in love with…a walking tour of the ancient city walls. No matter how touristy, this walk – with the age-old fortifications on one side and the beautiful Adriatic on the other – is not to be missed. Learn all about the city’s defense challenges throughout history as you enjoy a bird’s eye view of the maze-like alleys and streets of the beautiful old city. 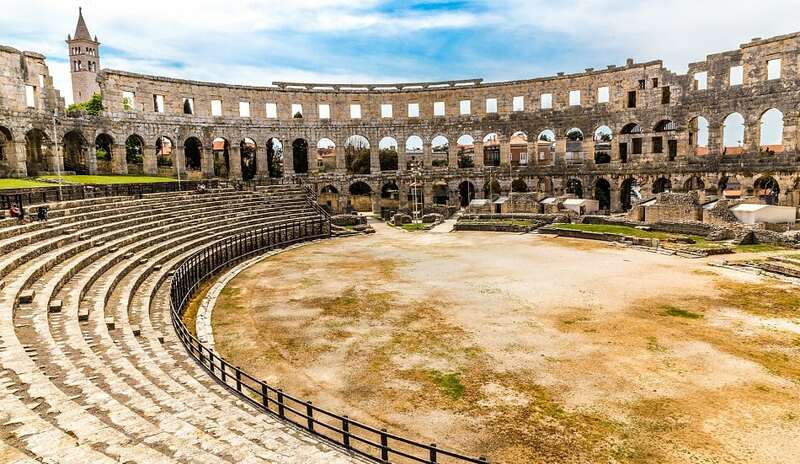 Fun Fact: Croatia was once the backdrop for bloody gladiator bouts. Fall in love with…the Amphitheater (also known as the Arena of Pula), a glorious remnant of Roman times where gladiators used to fight and today film festivals, operas, and concerts hold sway. When you’ve soaked up enough history, experience a whole repertoire of fun: water sports, hiking and climbing, cafes, taverns, and bars, flea markets and more. Fun Fact: Croatia was the birthplace of the famous Zinfandel grape and the first home of the Dalmatian breed of dogs. Fall in love with…these sleepy, serene islands where you can get away from it all. Check out: Mljet for its lush forests, pristine waters, and tranquil atmosphere (only one main road!). Discover far-flung Vis for its unspoiled beauty and lack of nightlife, big hotels, or package tourists. 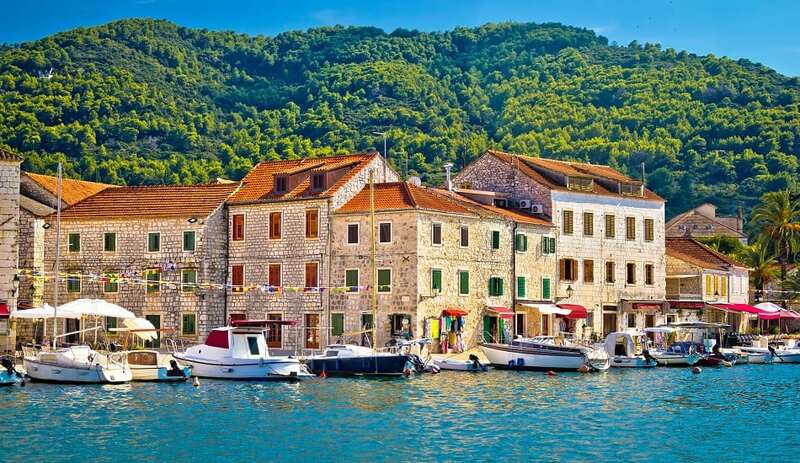 Visit tiny Lastovo – a five-hour ferry ride from Split – for its carnival, scenic vistas, long, solitary walks to the sounds of bird calls and waves splashing along the shore. Fun Fact: The wind causes the beach to constantly change shape. 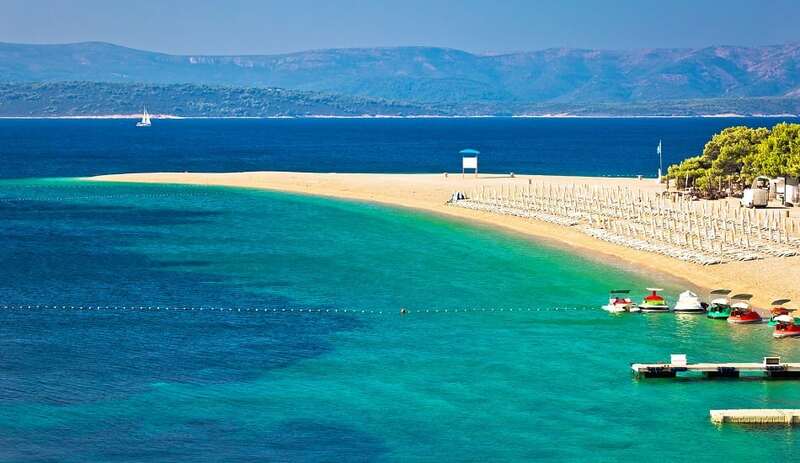 Fall in love with…Zlatni Rat Beach which is rated one of the most beautiful in the world. This beach has a long pebble tip that stretches out to the Adriatic and is just minutes from historical Bol. Due to changes in tide, wind, and current, its exact shape and length constantly vary during the day. This is a top windsurfing and snorkeling destination. Fun Fact: Zadar has the best sunset in the world, according to Alfred Hitchcock. Fall in love with…a pretty pastel-hued city with a laid-back, relaxing feel. Check out the Roman ruins, lovely waterfront, music and lights along the promenade, amazing restaurants, the fantastic Vitlov Chocolate candy store and, of course, the matchless sunsets. 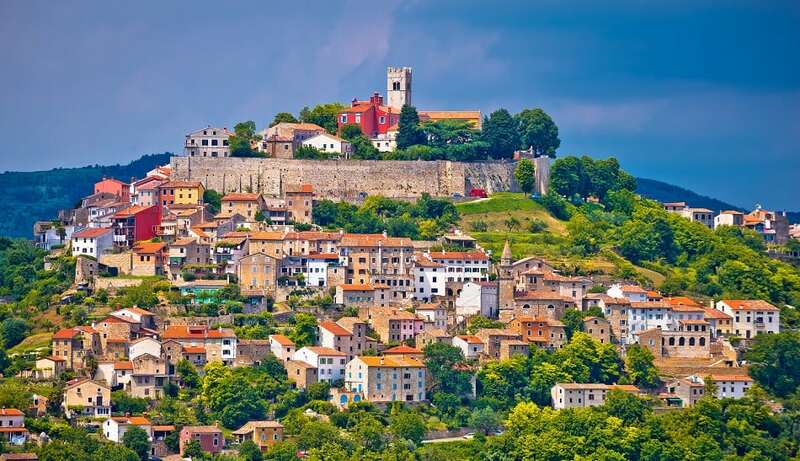 Fun Fact: Istria looks like Italy but is less expensive and more interesting. Fall in love with…Croatia’s version of Tuscany, complete with medieval hilltop towns, olive groves, vineyards, and the best white truffles. Biking fans – enjoy 500 km of scenic bicycle trails that link konobas (local restaurants) and cellars, ancient ruins and hidden streams. Fun Fact: This is where Renaissance writer and humanist Marko Marulic lived. He was the first to define and use the concept of psychology. 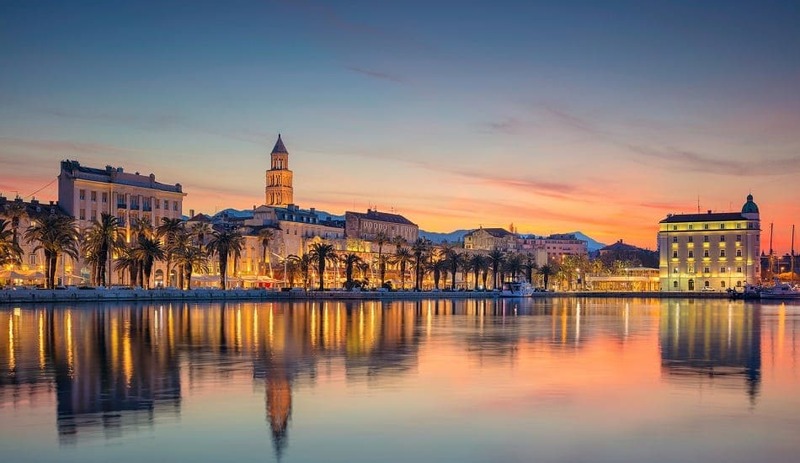 Fall in love with…the splendid Gothic and Renaissance architecture centered around the Roman Palace of Emperor Diocletian. The imperial residence is imposing to be sure, but more than a palace, it is also host to a throbbing city of people and meandering streets…of bars, cafes, shops, and museums. Fun Fact: This city contains the richest collection of Neanderthal Man remains. It is also the place where the inventor of the ballpoint pen (the first pen to come with its own ink) lived and died. 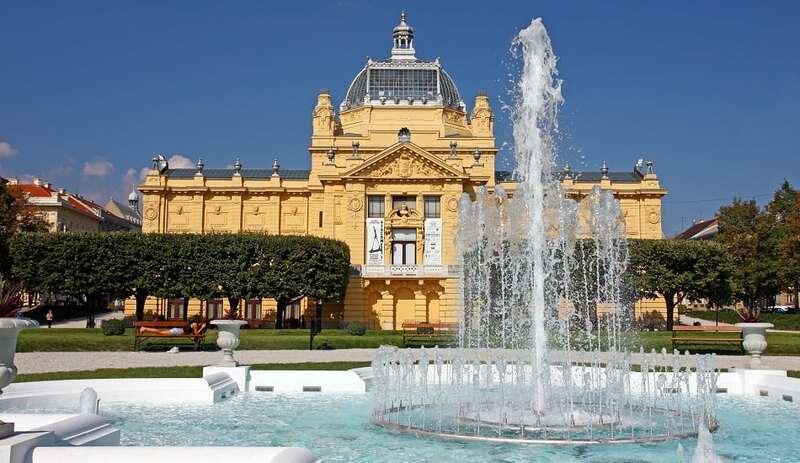 Fall in love with…its collection of great museums – from the quirky (Museum of Broken Relationships) to the classic (Italian and Flemish masters at the Strossmeyer Gallery of Old Masters), to the swanky (Museum of Contemporary Art), to the diverse objet d’art (Museum Mimara). 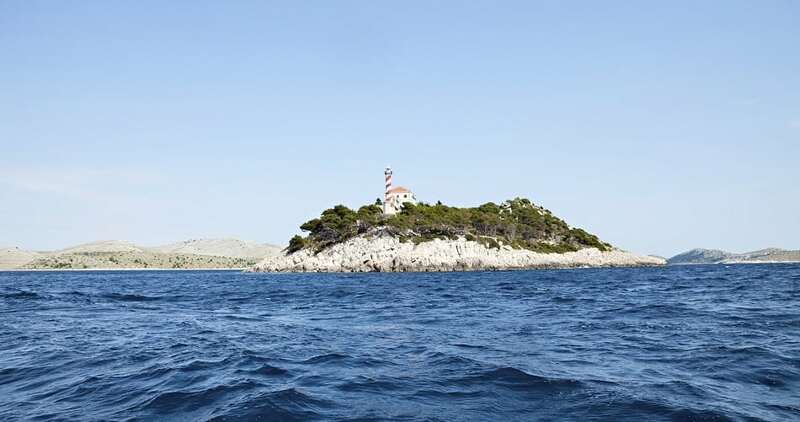 Fun Fact: This is one of Croatia’s 7 UNESCO World Heritage Sites. 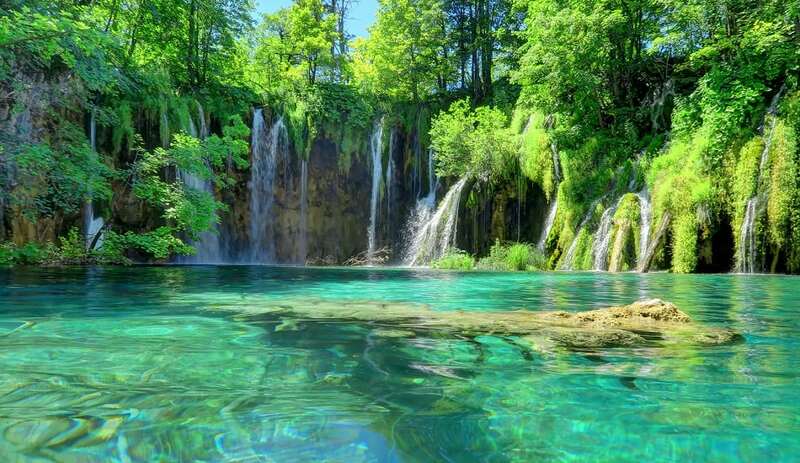 Fall in love with…sixteen stunning lakes in surreal colors, connected by a series of waterfalls. Walk along the lakes on wooden footbridges and pathways and feel the spray hit your face. Hire a boat to take you across the biggest lake, Kozjak Lake. Fall in love with…spectacular Mediterranean beaches, without the crowds or lovely plush vineyards and lavender fields. This town features 13th-century walls and fortresses, plus coves, islands, and small fishing villages waiting for you to explore. And of course, tons of atmosphere. This all adds up to a can’t miss destination. We’ve got some other fabulous destinations for you as well if you fancy the view from spectacular mountainside towns.